Emily Frith from Corner Market Catering made Strawberry Salsa talked about the Change the Tune event. (see recipe below) The Annual Change the Tune event is on Friday, April 12 at Marathon Music Works, with cocktail hour and silent auction beginning at 6:30pm, and dinner at 7pm, which will be provided by Corner Market Catering Company. The funds raised will go to The Family Center to help prevent child abuse and neglect in Middle Tennessee. For more information, visit http://www.familycentertn.org/change-the-tune/ . 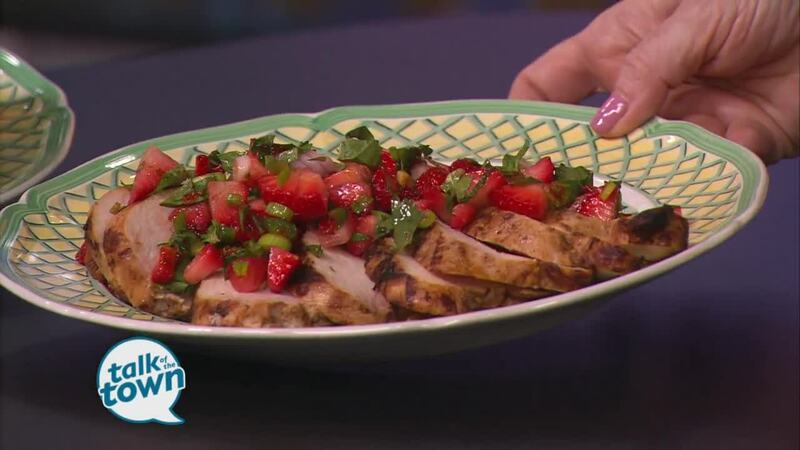 Mix together the strawberries, pepper, onion, scallions, cilantro and mint. Zest the lime over the mixture, then juice the lime, and combine with red pepper jelly. Toss together and season to taste. Enjoy with chips, or as an accompaniment to grilled chicken or fish.